There is no better way to start off date night than with this beautiful lady. That would be a margarita mixed with sangria – delicious! 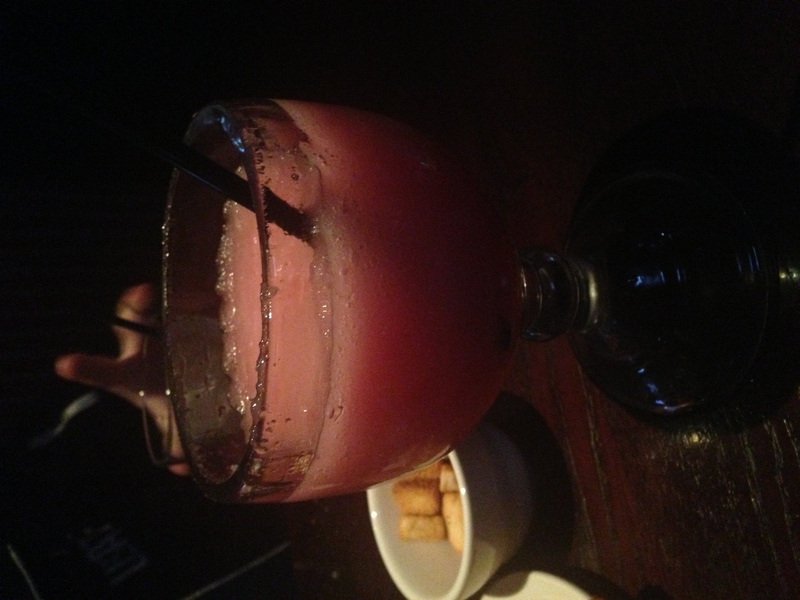 We ate at Cheddars and they have really really good margaritas! The best part about them is that they are only 3.99 and ACTUALLY contain alcohol! I mean you can’t beat that right!? 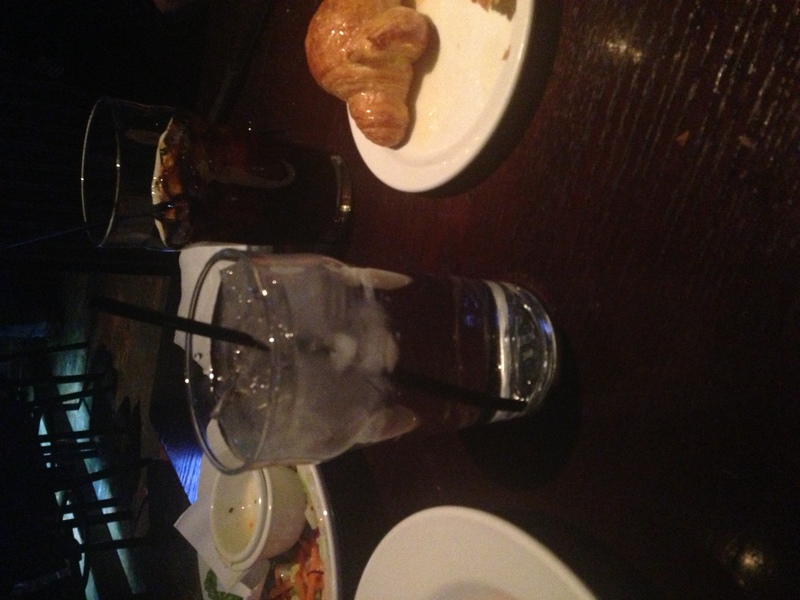 Just in case you thought I was going completely unhealthy…I DID get a water. I started the meal off with a side salad with lite italian dressing and then my meal with a grilled chicken sandwich. I thought I would discuss the importance of a cheat day today. Or even 2 cheat days a week – whatever works for you. It is important to control what you eat and pick healthier choices, but in my opinion everyone will fail if they don’t let themselves give in every once in a while. I used to really struggle with “cheating”. I would either go crazy and eat whatever I wanted all weekend long or I would try to restrict everything I always did. I never could find a happy medium. I think it is absolutely setting yourself up for failure if you don’t let yourself give in sometimes. I usually try to stick to one day a week but sometimes it will go into 2. I don’t blame myself for this and I believe that at the end of the week it helps me to watch and make healthier choices the other days. 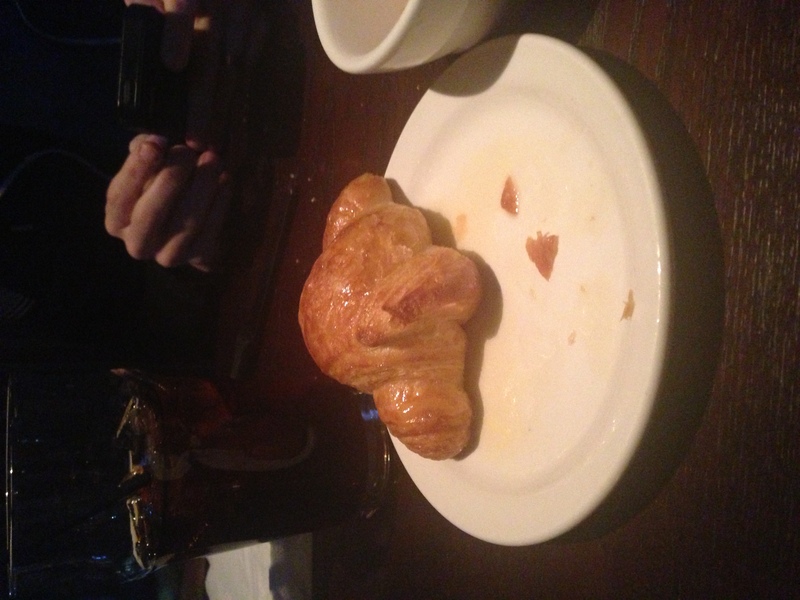 Even though I ordered something a little more carb heavy than I normally would, besides giving in with the margarita I also ate this amazing croissant. I enjoyed every bite of it in all its buttery goodness! I am about to head off to relax with my husband and watch a movie. I worked until 6:30 tonight then we went to dinner so I am pretty tired today. We usually make Friday nights our night in and then if we are going to do something (which doesn’t always happen in this crappy city) we usually do it Saturday when I have more energy. My husband learned his lesson after going to a few movies with me and I was falling asleep on Friday nights – much better and helps to avoid arguments if we just stay in on Friday nights.. I hope everyone had a wonderful Friday! Thank goodness for the weekend! !